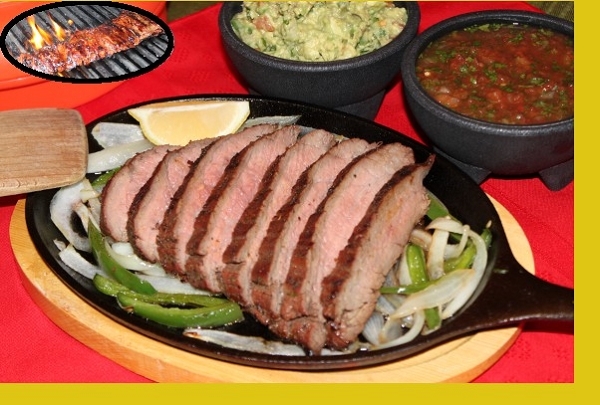 This is your traditional Tex Mex fajitas but with a twist that was shared with Maria by a dear friend. The flavor in the steak comes to life as a result of a special marinade that's a mix of pineapple juice, soy sauce, cilantro and spices. 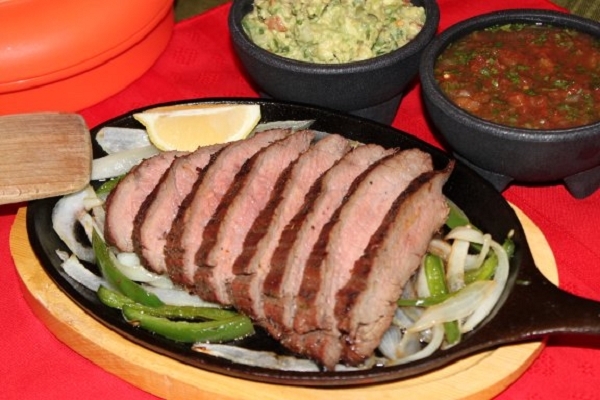 Served with Maria's black beans, homemade salsa and fresh tortillas, these fajitas are unlike any other! 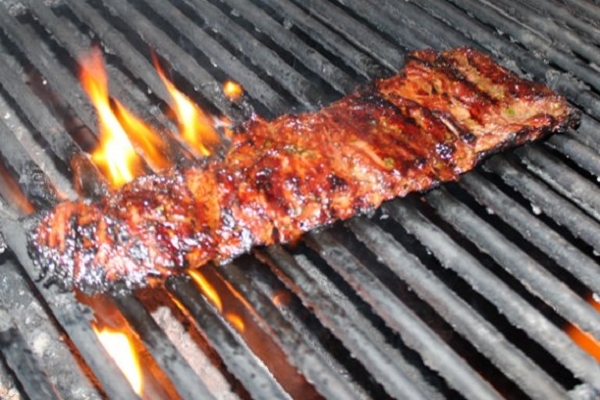 Skirt steak, soy sauce, pineapple juice, lemon juice, wine, worcestershire sauce, oil, vinegar, onions, cilantro, spices. Served with homemade salsa, black beans and fresh tortillas. 1. Preheat grill. 2. Grill steak about 4 minutes per side until cooked. 3. Let steak rest for 3 minutes before slicing. 4. Cut the steak against the grain into slices and square cubes if desired. 5. Reheat the beans and serve with steak, salsa and tortillas. Ole!! This was really really delicious. I don't love red meat but I was digging this meal. The meat was marinated perfectly and everything was super fresh and easy to prepare. Only thing I would add would be some shredded cheese and more tortillas!! I made this for company and everyone loved it. One could taste the special marinade used for this meal. Indeed, it was different than the regular fajitas. Both my husband and I have enjoyed this dinner very much, specially the homemade salsa that came with it. Thank you Maria.